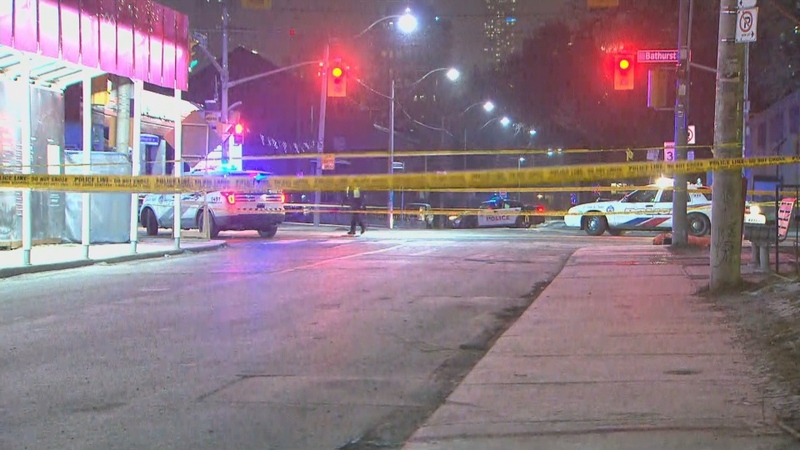 A male pedestrian has been declared dead after being struck by a vehicle that left the scene downtown Thursday night. It happened at Bathurst and Lennox streets in the Harbord Village area. The man, believed to be in his 60s, was found without vital signs. Det.-Const. Scott Matthews said in a tweet that the incident involved a dark green garbage truck. Matthews said police are appealing to anyone with video of the incident to come forward to investigators. 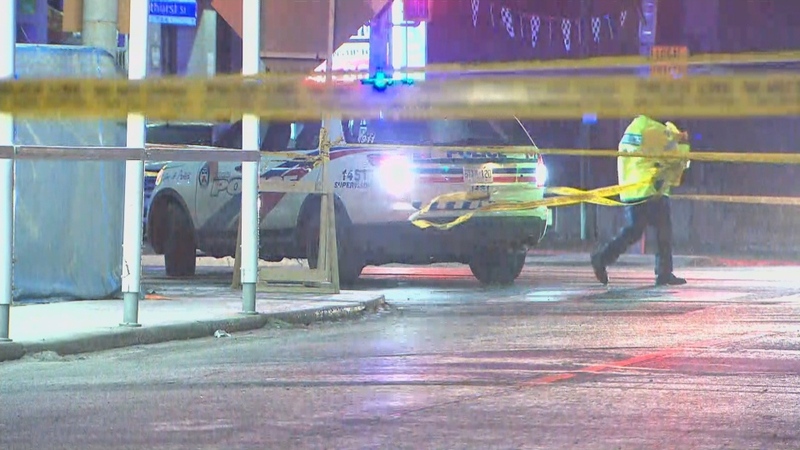 Police investigate a fatal hit-and-run at Bathurst and Lennox streets Thursday January 19, 2019.